The Egyptian currency is the Egyptian Pound or Geneih (Money) usually written as L.E. has a long history before it was introduced. In a society where most of the population made a living from agriculture and surpluses were small, trade was limited. The needs of the farming population were basic: grain for baking bread and brewing beer, dried fish, vegetables, some linen for a simple loincloth and mud bricks for a hut. Food and flax they could grow themselves. Mud was found at the nearby river bank. And sometimes there was a surplus which could be exchanged for little luxuries. Trade was done by barter, a reasonably efficient method when most basic necessities were exchanged. Even after coined money was introduced in the second half of the first millennium BCE, barter continued to be widespread among the farming population for centuries. 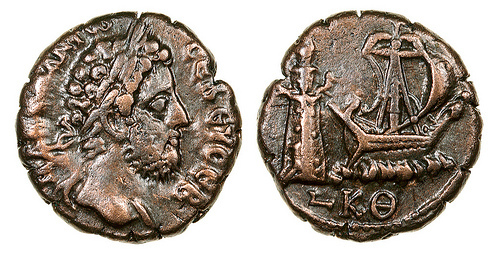 Grain and oil often served as a kind of coinage. This use of basic storable food stuff had both advantages and drawbacks. If all one earned was expended on food anyway and there was practically no choice about the kind of food one could get, then eating one’s wages was a system less cumbersome than being remunerated in specie and having to acquire the food afterward. During famines which were quite frequent, one did not starve if one had savings; and many a peasant rose on the social ladder by exchanging hoarded corn for land during times of dearth. Then, as today, business went smoothly as long as there was goodwill and both parties were honest. However as trade increased and the economy grew complex barter system proved to be insufficient and monetary system was introduced. Since the beginning of the circulation of silver and gold coins in Egypt and until 1834, no specified monetary unit existed to serve as a basis for the monetary system in Egypt. Only a few of the coins were minted locally. In 1834, a Decree was promulgated providing for issuing an Egyptian currency (money) based on a bimetallic base. By virtue of this Decree, the minting of coins in the form of gold and silver riyals was monopolized by the government. In 1836 the Egyptian pound was minted and put into circulation. 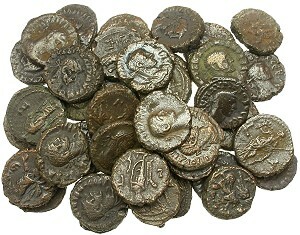 Because Egyptian mints were insufficient to satisfy the requirements of large transactions as well as foreign trade and because of the use of foreign coins for this purpose, legal exchange rates were fixed by force of law for important foreign currencies which became acceptable in the settlement of internal transactions. Fluctuations in the value of silver in addition to the adoption of the gold standard by most of the countries trading with Egypt, particularly the United Kingdom, led to the application of the gold standard, on a de facto basis, after almost thirty years of a bimetallic standard. Following the financial crisis resulting from the accumulation of Egypt’s external debt, the Monetary Reform Law was issued in 1885. By virtue of this Law, the gold standard became the basis for the Egyptian monetary system, and the country had a unified currency, the Egyptian gold pound. Thus, the bimetallic standard was officially abandoned. Owing to the insufficiency of minted new gold pounds, it was permitted to use some foreign gold coins, particularly the Sterling pound, at fixed legal rates. While the Egyptian gold pound was still deemed a legal tender, the Sterling gold pound, which was valued at more than its gold content compared to other foreign gold coins, remained the main medium of exchange, and the monetary system was no longer based on the ordinary gold standard but on the Sterling gold standard.